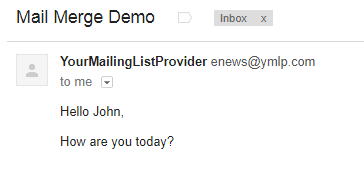 You can use mail merge tags to personalize your email newsletters. When you send an email with such mail merge tags, the latter will be replaced by their corresponding value in your contacts database for each contact. To view and configure aliases, choose Manage Data Fields under the Contacts tab. Choose Manage Data Fields under the Manage Contacts tab. 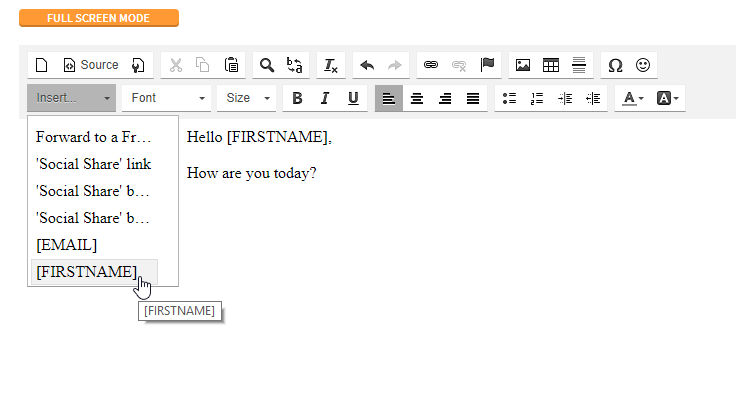 When using the built-in editor or Email Newsletter Builder, you can conveniently select mail merge tags from the "Insert..." drop down list. 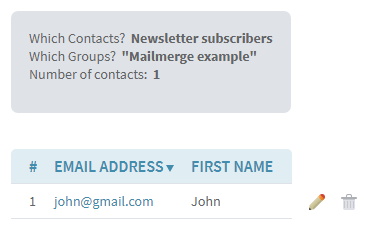 The "Correct Uppercase" setting (that can be activated for each field on the Manage Data Fields page under the Contacts tab) will automatically make sure that current & future data stored in such a field is properly capitalized (example: "John", not "john" or "jOhN") for personalized salutations.